The new Maserati Levante ushers in a new era of SUV. With unapologetic powerful features like an available 3.8L V8 engine that goes 0-60 mph in 3.7 seconds, this Maserati SUV offering brings a thrill to Glenview drivers. Along with speed, it separately commands the serenity of any drive with an intelligent AWD system that maintains optimum stability under unpredictable conditions. The unnerving, unique Levante delivers all sorts of luxurious highlights and gives Naperville drivers a formidable alternative on the road. Read Levante reviews, then come test drive one for yourself at Zeigler Maserati of Schaumburg. The Levante is a force paired with its high performance and desirable cabin highlights. With a breathtaking exterior supported by an advanced series of LED Matrix headlamps, every drive you take in this Maserati SUV feels like the first one. Compare the Maserati Levante vs. Porsche Cayenne to learn more. When you’ve browsed our inventory of new Maserati Levante SUVs online and found the one you wish to explore, come down to Schaumburg to experience one in person or contact us. 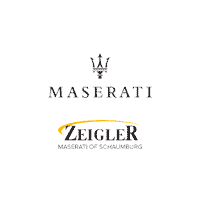 Value your trade before you come to get even closer to your new Maserati from Zeigler Maserati of Schaumburg.